I was fortunate enough to meet with Johana last year at Crime Fest and interview her about her debut novel Block 46. As well as being highly articulate and an engaging conversationalist, she is truly gorgeous; gentle, generous and just lovely. So oh my goodness, where does this darkness come from?! Keeper is absolutely masterful. Just from the blurb, you can see how complex and multilayered the storyline for this novel is and Gustawsson's ability to manage the differing voices, eras, settings and plots is nothing short of genius. 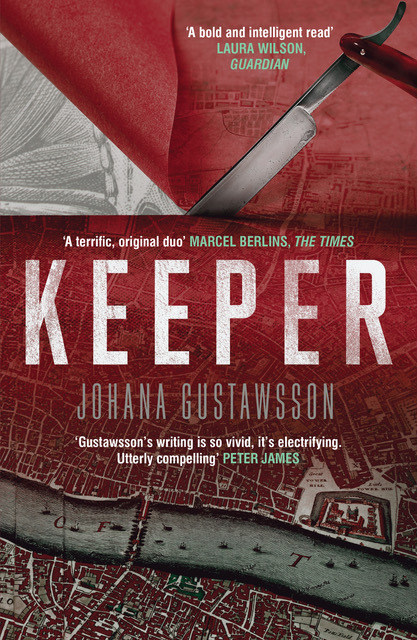 The reader is always clear where in the story they are and Gustawsson's ability to capture the atmosphere, feel and sense of each location is impressive. Her evocation of 1888 is as convincing as 2015. Her presentation of Sweden as authentic as London. Her attention to detail is impressive and subtle, allowing the reader to form a clear sense of identity with each character, place and time without distracting them from the action and the plot. Her management of the various threads and interlinking plot lines is utterly flawless and beautifully fluent. Equally the narrative voices are distinctive, captivating and easy to engage with. This is the second installment of the Roy and Castells series but it works effectively as a stand alone as a new case sets them new challenges - both personal and professional. The chapters are sometimes short and initially there are several rapid changes in point of view as we are introduced to the key characters, but we are in such safe hands with Gustawsson and she holds on to us, never letting us become confused or lost. Her confident management of the story line allows you to become completely absorbed in a desperately dark and horrific tale that is guaranteed to haunt you until you reach the last page. Ultimately, I am just blown away by the horror, the gore, the depravity and the violence that is vividly captured within these pages. The writing is just so impressive. 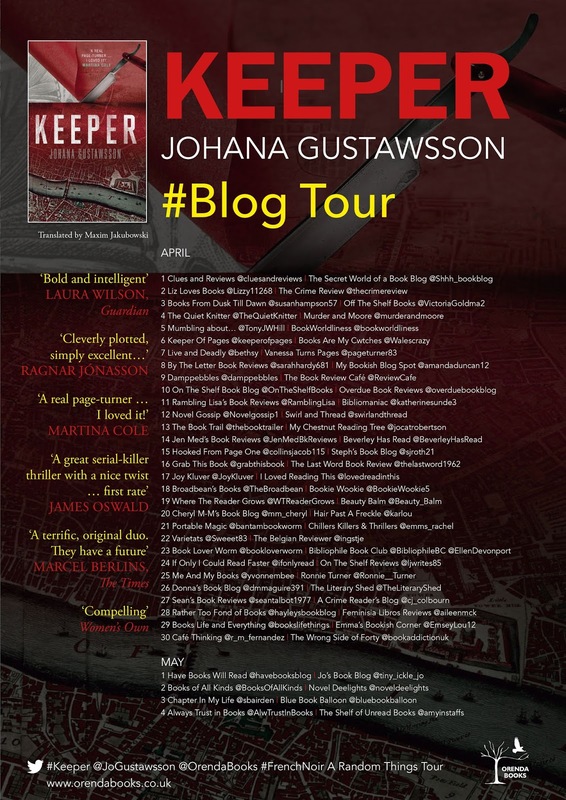 Those of us who read Block 46 know that Gustawsson doesn't shy away from difficult topics and although there is a lot of content that is shocking within these pages, it is not gratuitous and is essentially so compelling and incredibly well depicted that the reader is completely glued to the page. The violence and horror is necessary to the plot, the characters and also in keeping with the setting and time of the novel. Gustawsson clearly has a fascination with the human mind, the actions and behaviours of people and this enhances her portrayal of her characters and events. This is a sophisticated novel which links crimes not only between different countries, but also across decades. Gustawsson's execution of this ambitious plot is flawless. The blend of historical and contemporary is seamless and both provides a contrast in narrative while also complimenting each other. The reader is swept along, continually wondering at how the threads will stitch themselves together and there ending is not only well realised but also completely satisfying. I'm not in the least surprised at the writing and structure of Keeper as Gustawsson is articulate, bright and insightful. I wasn't quite prepared for the colourful descriptions and some of the content in this book - it's not for the faint hearted, but it does make for an extremely gripping and dark mystery. For me, there were echoes of Silence of the Lambs and Hannibal, and I was impressed with Gustawsson's use of the Jack the Ripper story. I have to say, I couldn't put it down. 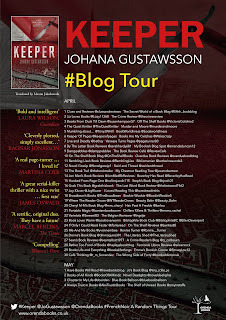 As I have already said, Keeper was a hugely enjoyable and fascinating read but mainly it is so incredibly impressive. This is one immensely talented writer. 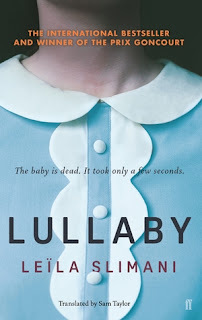 It will make you squirm, it will make your stomach turn, it will give you shivers, it will terrify you but it will also be one of the most well written books you come across this year. I recommend. Don't miss the other stops on this fantastic tour!